The Syfy channel continues to promote their social media integration including Twitter, Facebook and Shazam. 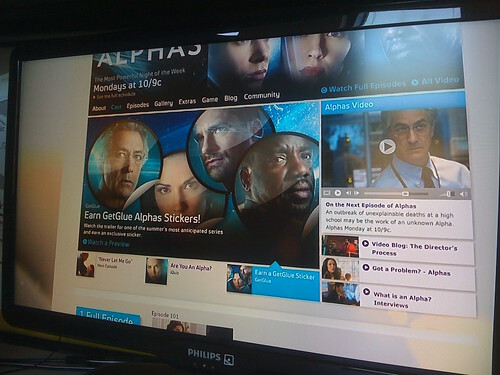 The on-air “bumper” includes the show’s URL typed into a pseudo browser and includes screen images of key elements. The show airs on Monday at 10pm. View a set of related photos on Flickr. The companion website is www.alphapowers.com. All of the Get Glue stickers. You can find Shazam’s official post on Shazamers.com.